Can simple business solutions make conservation profitable for smallholder farmers? In honor of Earth Day, help TechnoServe to support communities as they build sustainable economies and ecosystems. Whether you care about climate change, biodiversity, food security or ending poverty, forests are one of our most dependable resources for addressing global challenges. Forests are the Earth’s lungs, air conditioner, water filter, pantry and even medicine closet, all in one. However, this image of forests as a diverse collection of repositories for global good has often been countered with the perception that their services require sacrifice on the part of local communities. Forest conservation can seem to work against community development and even food security, as conservation efforts often restrict clearing for agricultural land use, the greatest driver of deforestation. However, when dealing with one of the most diverse and productive resources in the world, the opportunities for local economies to benefit are abundant. Every year, people trade more than $200 billion worth of forest products like timber and fruits, and millions depend on trees as a source of food and fuel. 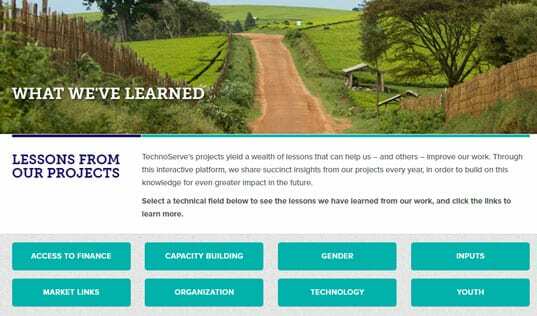 Rather than creating a conflict between development initiatives, the sustainable conservation and management of forest ecosystems is a promising possibility for meeting both development and environmental goals, and TechnoServe staff in the field are exploring strategies to make this win-win scenario possible. By working with farmers to plant trees on their land as part of their training, TechnoServe ensures that forest is not only increased, but managed in such a way that it reduces poverty and drives sustainable local development. One method of linking economic and environmental sustainability is by bringing forests to the point of production. Coffee yields, for example, benefit from additional tree cover – 40 percent shade, to be exact – that leads to higher quality, shade-grown coffee beans and provides farmers with price premiums. 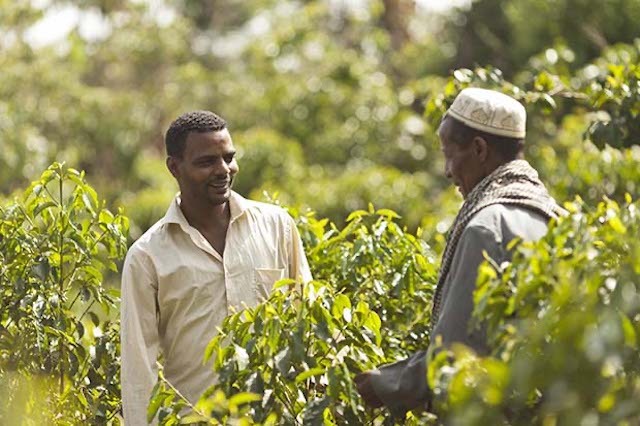 In Ethiopia TechnoServe is furthering coffee’s potential for social and environmental sustainability in partnership with Nespresso and the World Bank’s International Finance Corporation (IFC) and Biocarbon Fund Initiative for Sustainable Forest Landscapes (ISFL). This multi-stakeholder initiative is furthering TechnoServe’s longtime partnership with Nespresso’s AAA Sustainable Quality Program, which works to overcome challenges in the coffee supply chain and improve livelihoods in coffee farming communities by providing training on coffee production and processing. 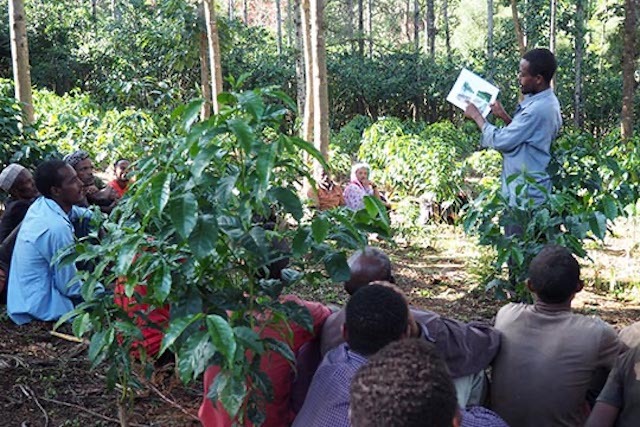 By partnering with ISFL, the program’s work with smallholders will now contribute to the Oromia Forested Landscape Program, supporting its mission to reduce the role of agricultural land use in deforestation and greenhouse gas emissions. By working with farmers to plant trees on their land as part of their training, TechnoServe will ensure that forest is not only increased, but managed in such a way that it reduces poverty and drives sustainable local development. 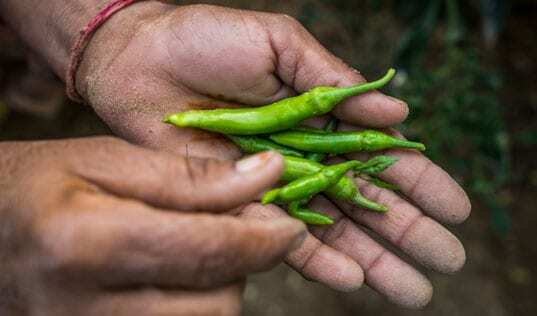 By planting indigenous tree species in particular, farms can become an active force in the conservation of local biodiversity while increasing productivity and preventing soil erosion on farms. When farmers can see financial benefits from their forests through the commercialization of products like honey, they are motivated and able to preserve them rather than clear them for additional agricultural use. The forest is full of resources that can support local livelihoods, but these products are seldom economically viable, as forest communities are often isolated or lack access to the knowledge, infrastructure or tools they need to build sustainable economies around them. However, overcoming such barriers to development often requires simple solutions on the ground that can unlock the full potential of these promising value chains. Honey is a classic example of an environmentally friendly forest product with great commercial potential. Bees are essential pollinators that enable entire ecosystems, and by collecting and selling their honey and wax, beekeepers are incentivized to protect these species and their habitats. In Zambia, TechnoServe partnered with Partners in Food Solutions, an organization linking volunteer employees from leading food companies with food processors in the developing world, to create business solutions to some of the barriers facing sustainable honey value chains. In Zambia, 66 percent of the land is forest, and a large portion of the Zambian economy is supported by beekeeping. 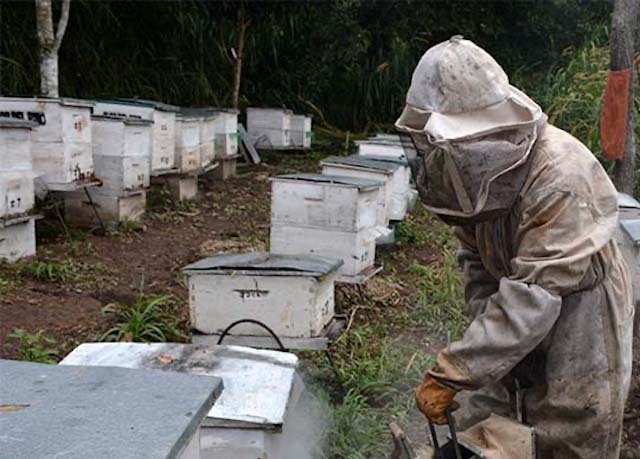 An estimated 250,000 farmers work in beekeeping or honey hunting (collecting honey from wild hives), using these activities to supplement their agricultural income by about $100 to $400 a year. Forests are essential to honey production, whether wild or managed, as they provide the nectar and pollen that they process into honey and store as food. When farmers can see financial benefits from their forests through the commercialization of products like honey, they are motivated and able to preserve them rather than clear them for additional agricultural use. Forest Fruits, Ltd., one of two major honey companies in the country, supports a large number of smallholder farmers by incorporating them into the supply chain for their organic Zambezi Gold honey. In order for Forest Fruits to increase their reach to smallholder farmers, they first had to expand their consumer market. TechnoServe and Partners in Food Solutions provided key research and operations consulting to identify the best neighboring markets where Forest Fruits could take full advantage of their organic product and optimize distribution. By extending their market for Zambezi Gold honey, Forest Fruits is now able to include more smallholder farmers in their supply chain, providing them a concrete benefit from the care of their forests and the species that inhabit them. As soon as forest-based businesses are made profitable through best productive and business practices, the possibility of conservation becomes achievable for forest communities looking to provide healthy, productive lives for their families. Support TechnoServe's effort to help businesses achieve profitability while achieving conservation in valuable forest ecosystems.